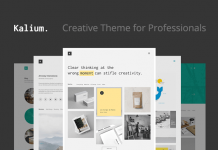 Mellow, a modern and minimalist portfolio WordPress theme. 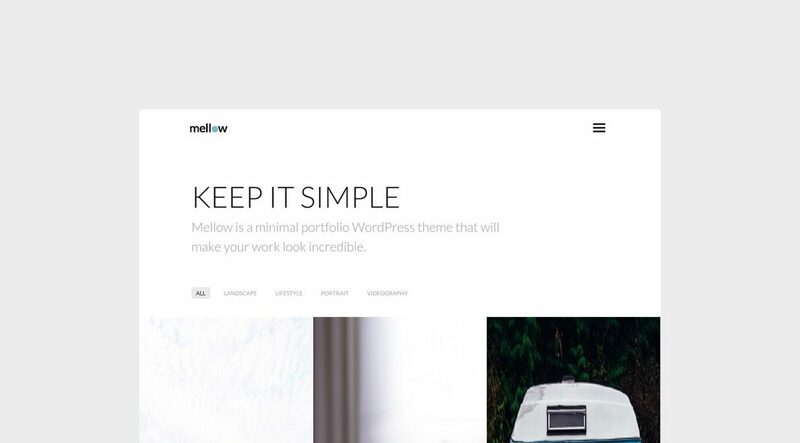 Based on a very minimalist design, Mellow is a super sleek WordPress theme which helps you to showcase your creative work with filterable portfolios and modern typography. 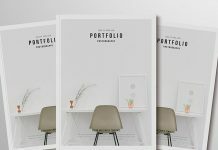 It’s a great choice for design agencies, freelancers or all kinds of creatives who want to let their work do the talking. 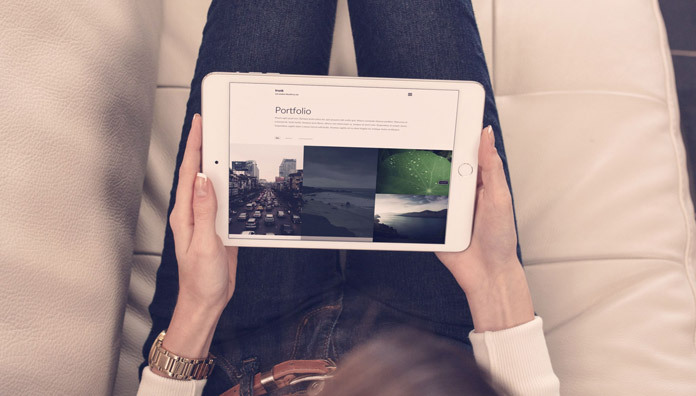 It gives you the option to use extra large featured images on your home and portfolio pages. This way, they get the presentation they deserve. 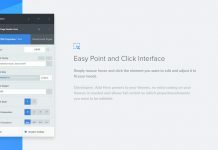 As it should be, the theme is fully responsive, meaning the layout adjusts to any screen size. 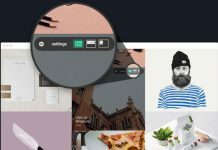 Another great feature is Mellow’s built-in support for portfolios. Creating and managing your unique projects has never been easier. 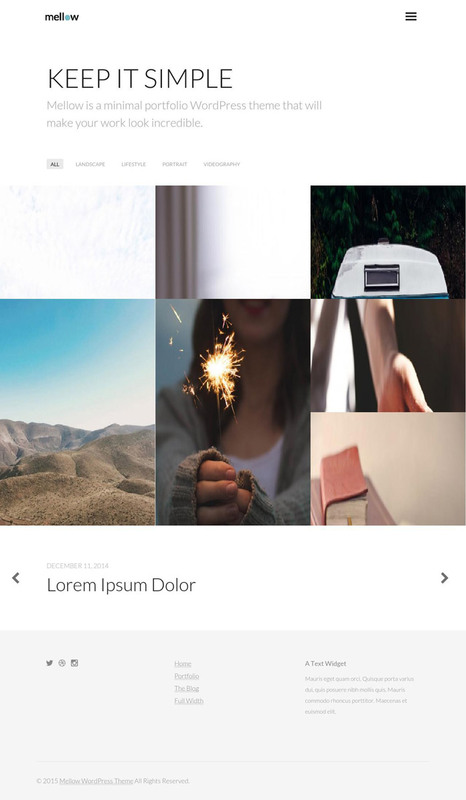 The portfolio page template displays your projects by category with very smooth animation effects. 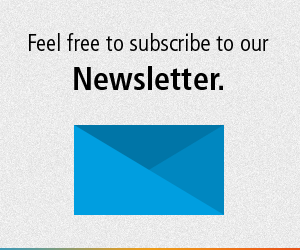 For further information on all features, just click on the following link. 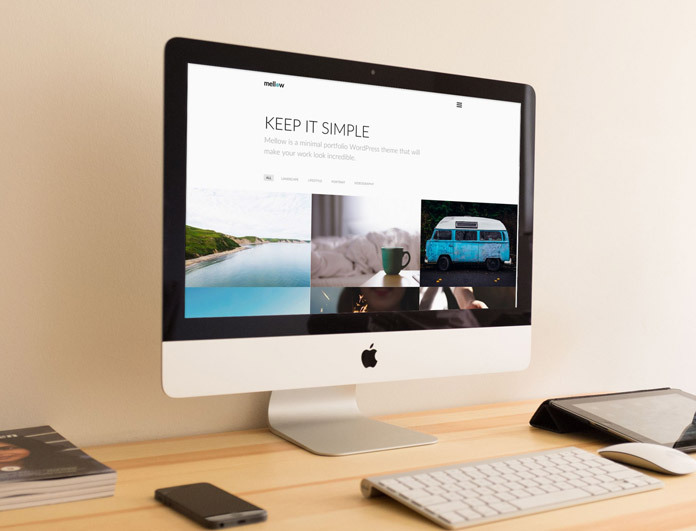 Desktop view of the WordPress theme. 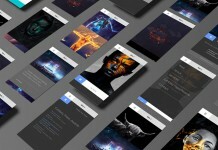 You can find even more themes and graphics in our recommended Templates category. 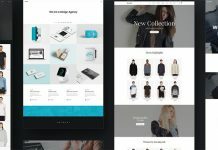 It’s our aim to showcase high-quality products for graphic and web designers.